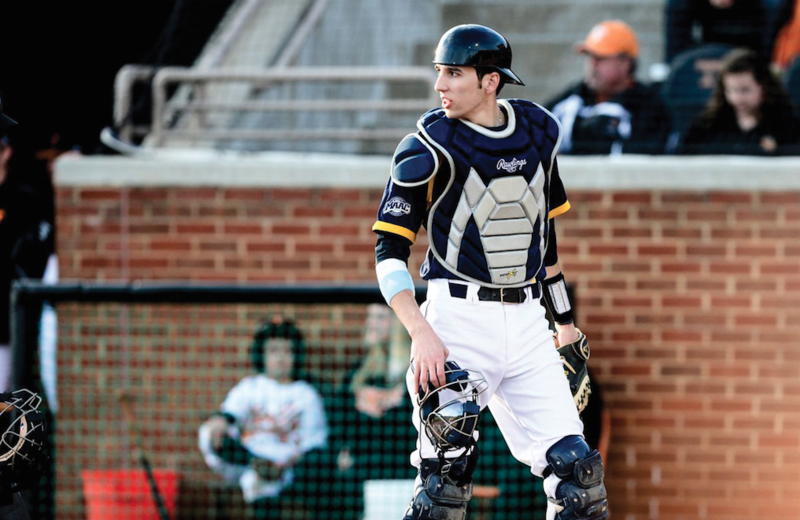 Quinnipiac baseball has always been a part of catcher Lou Iannotti’s life. His father, also named Lou, is a member of the Quinnipiac Hall of Fame for his years and contributions playing on the school’s baseball team. Growing up, Iannotti spent a lot of time at the Quinnipiac baseball fields. Initially, it didn’t appear that Iannotti would be following in his father’s footsteps and playing at Quinnipiac. After high school, he went to Siena College to play baseball—but things didn’t go exactly as planned. After injuring his shoulder, Iannotti wasn’t sure what to do, but his mother had started working at Quinnipiac during January of his freshman year at Siena, so he knew a transfer would be easy. Iannotti had surgery, rehabbed his shoulder and was able to get an opportunity to play. 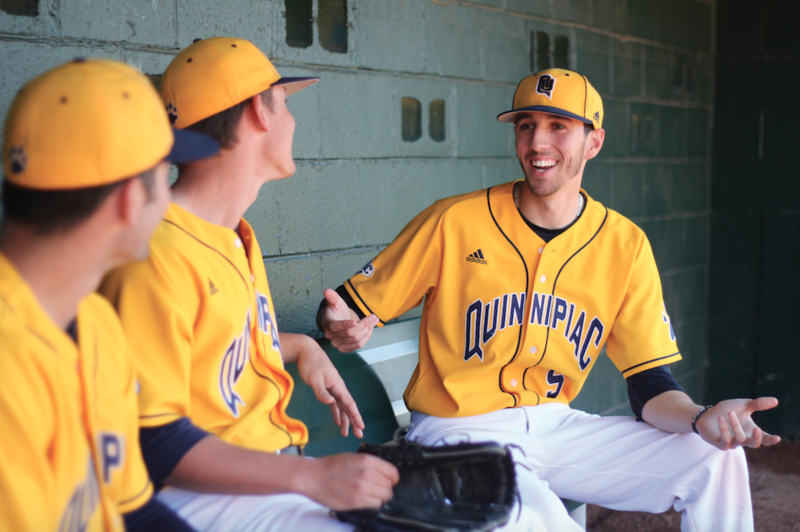 Now, he’s creating his own legacy on the Quinnipiac baseball team. Consistently an offensive threat and responsible defensively, first-year head coach John Delaney said Iannotti is a welcome addition to the team. The team, 8-4 in Metro Atlantic Athletic Conference play two months into the season, has benefitted from having Iannotti on its roster. But even as a well-rounded player who seemingly has it all, it was Iannotti’s character as a person that Delaney and Nelson couldn’t stress enough. Nelson echoed that sentiment, and without hesitation called Iannotti one of the top teammates he’s ever had. Iannotti knows the value of having good teammates—his father’s closest friends now were his teammates at Quinnipiac, and two of them were the best men at his wedding. As for advice, Iannotti’s father has told him simply to enjoy every moment, and “work hard while you’re there.” He’s taking his father’s words to heart. He works hard to improve his game, while enjoying the opportunity to play with his closest friends. And while he’s putting in the work, Iannotti isn’t forgetting to have fun. “To get the chance to play with your best friends everyday … and the experiences that you have together, you just can’t get it anywhere else,” he said. With new coaches and players this season, Iannotti is looking forward to the opportunity to win.